We’d love your help. 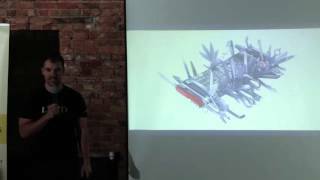 Let us know what’s wrong with this preview of Hello, Startup by Yevgeniy Brikman. At this very moment, somewhere in the world, two programmers are sitting in a garage and creating our future, one line of code at a time. We are in the era of the high tech startup. This book is the "Hello, World" tutorial for building products, technologies, and teams in a startup environment. It's based on the experiences of the author, Yevgeniy Brikman, as well as interv At this very moment, somewhere in the world, two programmers are sitting in a garage and creating our future, one line of code at a time. We are in the era of the high tech startup. 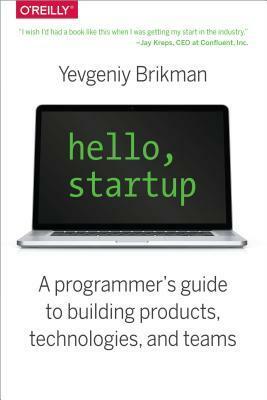 This book is the "Hello, World" tutorial for building products, technologies, and teams in a startup environment. It's based on the experiences of the author, Yevgeniy Brikman, as well as interviews with programmers from some of the most successful startups of the last decade, including Google, Facebook, LinkedIn, Twitter, GitHub, Stripe, Instagram, AdMob, Pinterest, and many others. To ask other readers questions about Hello, Startup, please sign up. What's special about Hello, Startup is how thoroughly the author is dedicated to his craft. Jim's insights into software engineering as a lifelong pursuit and the dynamics of small team building reveal a level of clairvoyance extending beyond the trope of the 'pragmatic programmer'. The writing itself is flawless and reinforces much of the philosophy advocated in Chapter 12. I often thought back to Soft Skills, which is of the same length with a similarly broad assortment of content (and even so What's special about Hello, Startup is how thoroughly the author is dedicated to his craft. Jim's insights into software engineering as a lifelong pursuit and the dynamics of small team building reveal a level of clairvoyance extending beyond the trope of the 'pragmatic programmer'. The writing itself is flawless and reinforces much of the philosophy advocated in Chapter 12. I often thought back to Soft Skills, which is of the same length with a similarly broad assortment of content (and even some overlap). This book was so much sharper and more genuine. Where Soft Skills' author was filling pages with fluff while highlighting how he fills a daily content quota (quite ironic- and irritating), Jim was sharpening his mastery of the English language while translating his work experiences to sagely advice. There is no fluff, filler, or overreaching as far as the author's own knowledge goes. As with any book that casts a wide net, it contains chapters that correspond to full books. The closest mappings are Chapter 6 (Clean Code) - Clean Code, The Pragmatic Programmer; Chapter 8 (Software Delivery) - Continuous Delivery; Chapter 9 (Startup Culture) - Zero to One; Chapter 3 (Product Design) - The Lean Startup. If you're intimately familiar with a topic covered in the book, chapters can be skipped with little consequence, however, I really appreciated the unique spin Jim was able to put on each topic and I think that you will, too. While you might assume that this book is written for those looking to found The Next Facebook, it's actually more of a warning and fairly balanced analysis of all aspects of startup life. I found the lessons applicable to my role as an engineer at a small company and my day-to-day when consulting to startups. Some people would think this book is only worth reading if you're thinking of initiating your own startup, but if you're receptive, you can learn way beyond that. Most of the discussed principles in this book have applications in all areas of life. I specifically recommend reading this book to other graduate students who would like to plan ahead and strategize their efforts in the grad school. Here is what you need to know about Hello Startup. Unless you are currently or have recently worked at a hyper growth tech startup you can benefit from the unique experience and great communication skills used to create Hello Startup. 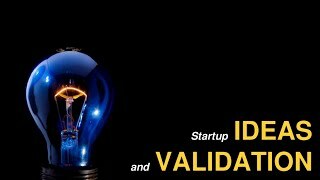 I have read more than a dozen books on startups and many more on business, psychology and programming and I am amazed at the amount of well researched and well thought out explanations of the synergy of good practices of a startup or very focussed company or brach Here is what you need to know about Hello Startup. Unless you are currently or have recently worked at a hyper growth tech startup you can benefit from the unique experience and great communication skills used to create Hello Startup. I have read more than a dozen books on startups and many more on business, psychology and programming and I am amazed at the amount of well researched and well thought out explanations of the synergy of good practices of a startup or very focussed company or brach of company. Brikman does a great job of not just expressing opinion but also tempered balance in areas that benefit from analysis and understanding. The book is in three parts, parts one and three are all things startup and part two is tech including tech stacks and plenty of code for demonstration purposes. I am in the unique demographic of being way past the age of the average tech startup founder but since changing from a successful career in Construction Management and Estimating I have ever so slowly been inching my way towards becoming a programmer. Hello Startup would have saved me at least two years of this process just by helping me understand and compare the benefits and weaknesses of different tech stacks. At the advice of others, I spent almost two years thinking that I could build my concept with Wordpress! That seems like a lifetime ago now. I have studied what it takes to test if a concept is viable and Brikman's advice here is spot on. Because much of what I have studied about the first stages of the startup process is represented in Hello Startup I trust that the rest is of similar value like how, when and why to hire, how and why to have a cofounder and the management structure of a startup. If you want to get an understanding of the level of passion and applied intelligence the author has just search the web, read his posts, listen to his talks and check out his blog. I have been researching scalable tech stacks and startup concepts for years now and at this point Brikman is in a very elite class of people that both have walked the walk and found a way to communicate it well. There is much more I could say about this but I have to get back to deciding if and how much Reactjs I want to use for my prototype! As far as cons... I am comfortable saying read the book to find out for yourself. I am not aware of a better book that accurately covers so much, to this depth, while being readable. The book keeps its promise from the title - it is a guide to building products, technologies and teams. It also touches on building yourself as well. It explores all the challenges and aspects of building a startup - from how to come up with an idea to how to start working on it and how to grow it over time. Although, it is targeted for startups, most of it applies to any company out there, even established ones, who may have slowed down with some of the recent ideas of how to run a software bus The book keeps its promise from the title - it is a guide to building products, technologies and teams. It also touches on building yourself as well. It explores all the challenges and aspects of building a startup - from how to come up with an idea to how to start working on it and how to grow it over time. Although, it is targeted for startups, most of it applies to any company out there, even established ones, who may have slowed down with some of the recent ideas of how to run a software business. Honestly, most of the things I knew from various articles I have read over the last couple of years, but this book combines all of them in a package, which you can go through at once instead of having a teaspoon sips here and there. This book is a must-read for a developers, who are just starting their careers. It doesn't matter if they want to work for a startup or not, the ideas explored in it will help junior developers better see the big picture - what is the role of an engineer in a business, what it takes to create an environment where an engineer can thrive and how to become a better engineer. For the last one, become a better engineer, it probably starts with this book. As of the writing style, I found it to be easy to read, without any struggles to understand any part of it, but there are some ideas, which are repeated over and over with little or no change. But this didn't affect the overall feel for the book. or anyone else who has ideas, wants to learn or do some career choices, needs to hire people, wants to know more about product design or data driven development, wants to improve his coding skills or technical knowledge and so on. This book gives the main notions and best practices in all aspects of an early stage startup life and gives suggested resources, where to do some more digging later for most interesting topics. A very good read for every aspiring or startup entrepreneurs. I highly recommend this book to any new software engineer, computer science student, or anyone interested in the world of tech startups. It's a well-organized peak into the world of successful programmers and offers excellent suggestions for how to organize a tech stack, company, team, or your career to be more successful. 1. Choosing a tech stack - in which Brikman walks through the various choices engineers I highly recommend this book to any new software engineer, computer science student, or anyone interested in the world of tech startups. 1. Choosing a tech stack - in which Brikman walks through the various choices engineers have to make about what technology to use (database, web framework, programming language), the things you should never build, and when to build in-house vs. leveraging open source vs paying another company. 2. Clean Code - If you've read Bob Martin's "Clean Code" this is a condensed version for the startup software engineer - just the gems. 3. Learning - how did the most successful programmers get to where they are. It's fairly obvious that they put the time in and worked hard, and this chapter gives some good suggestions on how to get there such as dedicating time to intentionally learning and build things frequently. It's also nice to be reminded that everyone starts as a noobie. This was a good read. I learned a lot of things that I think are generally applicable irrespective of someone's intention of working at or founding a startup. A financier or novelist could probably gain some useful things from this book. The only thing that really made me hold back that fifth star was the more technical middle portion. I have a degree in an unrelated field, and therefore lack a more intuitive understanding of code, databases, and libraries. I'm a bit of a slow coder at this junc This was a good read. I learned a lot of things that I think are generally applicable irrespective of someone's intention of working at or founding a startup. A financier or novelist could probably gain some useful things from this book. The only thing that really made me hold back that fifth star was the more technical middle portion. I have a degree in an unrelated field, and therefore lack a more intuitive understanding of code, databases, and libraries. I'm a bit of a slow coder at this juncture and have to patiently reason my way through even the simplest problems. When the author described tips for cleaner code, or writing good automated tests, I frequently had to call on two or three resources other than the book itself to understand exactly what he was describing. * Elección de tecnologías según el estado de crecimiento de la startup. * Nociones de buenos manejos de la base de código. * Búsqueda de talento en TI. * Definición de la dirección y los valores importantes para la empresa. * Búsqueda de oportunidades de trabajo dentro de startups. great read! It was full of great info on tech, teams, design, and all other aspects of startup culture. It's a compilation of stuff around working on startups. No complaints. It's great. Direct, no fluff, with just enough text to convey the message. I would blindly buy whatever else he publishes. Amazingly holistic book on startups and products. Must read. A very well structured synthesis of relevant material. Even if there isn't a lot of original insight, the depth and breadth of the research together with the great presentation of concepts through well-crafted examples, on-point quotes and personal experience, make this a very worthwhile reference book. the fist half of it helped and shaped me to understand what startups are. This is one of my favourite books if you want to understand all the aspects of creating a startups. Most of the content can be found in various, more specialized books (like Clean Code from Robert C. Martin for the code quality chapters), but it's quite rare to have a generic comprehensive view of all the aspects of a startup into one book. The fact that the author is a also a (very skilled it seems) programmer is very interesting, as it gives a "geeky" perspective usually not seen on other books This is one of my favourite books if you want to understand all the aspects of creating a startups. Most of the content can be found in various, more specialized books (like Clean Code from Robert C. Martin for the code quality chapters), but it's quite rare to have a generic comprehensive view of all the aspects of a startup into one book. The fact that the author is a also a (very skilled it seems) programmer is very interesting, as it gives a "geeky" perspective usually not seen on other books and which is much more appealing to tech guys. On the downside, the book seems like a mashup of other books on the market and hence if you already read those books, you will not learn as much as the size of the book seems to promise. It is a wonderful book for people who are interested in starting out on their own, or for people who are looking to join startups. A lot of the information is also useful to engineers who want to improve themselves to become better engineers overall. It is a guidebook, does not go into the gory details but gives you enough to start thinking in the right direction and lots of links to interesting material for additional reading. The quotes from a lot of the successful engineers in the Silicon val It is a wonderful book for people who are interested in starting out on their own, or for people who are looking to join startups. A lot of the information is also useful to engineers who want to improve themselves to become better engineers overall. It is a guidebook, does not go into the gory details but gives you enough to start thinking in the right direction and lots of links to interesting material for additional reading. The quotes from a lot of the successful engineers in the Silicon valley also makes interesting reading. A nice and gentle introduction to the world of tech startups covering the basics of building and growing the company from scratch. I loved the parts about marketing, sales and other activities which might be even more important for a growing company that crunching the code all day long. For the main audience, the book provides a solid foundation for starting and running a company from the ground up. Pretty interesting first part which structures knowledge about different aspects of "how to start and run company" building the right priorities. Second part has pretty opinionated point of view on tech side. Wouldn't recommend to anybody to read more then ten pages overview not to spoil your own opinion. The third part was to far from me to read so have no idea what is there but the introduction seemed competent. Great, filled with deep knowledge book. Really goes into detail about explaining a life of a tech start-up, various tech stacks and database choices. Also tells us things about marketing, customer development and coding practises. This book is very much targeted at programmers and it is a worthwhile read for those who are starting their careers in tech industry. It's a lot to process. A complete integrated baseline of startup knowledge. For me, it was nice to read a SV insider perspective on the proper way to do things. I came across most of the techniques reading blogs online and over about 3 years of trial and error. Even so, I didn't know about feature flags. Great guide to tech startups, both from a technology point of view as well as on other topics like hiring, company culture and learning. The book was well structured and gave good insights into important areas. The insights from people in the industry sprinkled throughout the book are both informative and entertaining. A solid dive into the things that makes effective developers as well as tying in concepts around team building and culture. Strongly recommended for those with 3 or less years in the industry.